Sonia Dahdouh, Nadège Varsier, Moises. A. Nunez Ochoa, Joe Wiart, Azadeh Peyman, Isabelle Bloch. Infants and young children modeling method for numerical dosimetry studies: application to plane wave exposure. Segmentation of embryonic and fetal 3D ultrasound images based on pixel intensity distributions and shape priors. Medical Image Analysis 2015 (MedIa), Jan 2015. Nadège Varsier, Sonia Dahdouh, Antoine Serrurier, Juan-Pablo de la Plata, Jérémie Anquez, Elsa D. Angelini, Joe Wiart, Isabelle Bloch. Influence of the pregnancy stage and the fetus position on the whole-body and local exposure of the fetus. 3D articulated growth model of the fetus skeleton, envelope and soft tissues. Shape-based multi-region segmentation framework: application to 3D infants MRI data. SPIE medical imaging (SPIE'2015), Orlando, USA, 2015. Segmentation of fetal envelope from 3D ultrasound images based on pixel intensity statistical distribution and shape priors. International Symposium on Biomedical Imaging (ISBI'2013), San Francisco, USA, 2013. 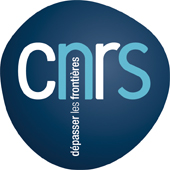 Recherche en Imagerie et Technologie pour la Santé (RITS'2013), Bordeaux, France, 2013. Eurographics Medical Prize Awards. Honorable Mention of the Dirk Bartz Prize for Visual Computing in Medicine 2011 (EG'2011), Llandudno in Wales, UK, April 12-15, 2011.
International Symposium on Biomedical Imaging (ISBI'2010), Rotterdam, Netherlands, April 14-17, 2010.
International Symposium on Biomedical Simulation (ISBMS'2010), vol. LNCS 5958, pp 71-81, Phoenix, United States, January 23-24, 2010. World Congress on Medical Physics and Biomedical Engineering (WC'2009), pp 321-324, Munich, Germany, September 7-12, 2009.
International Conference on Medical Image Computing and Computer Assisted Intervention (MICCAI'2009), vol. LNCS 5761, pp 1025-1032, London, UK, September 20-24, 2009.
International Symposium on Biomedical Imaging (ISBI'2009), pp 109-112, Boston, USA, June 29-July 1st, 2009.
International Congress and Exhibition on Computer Assisted Radiology and Surgery (CARS'2009), pp 378-379, Berlin, Germany, June 23-27, 2009. Quelle séquence T2 pour le poumon fétal ?